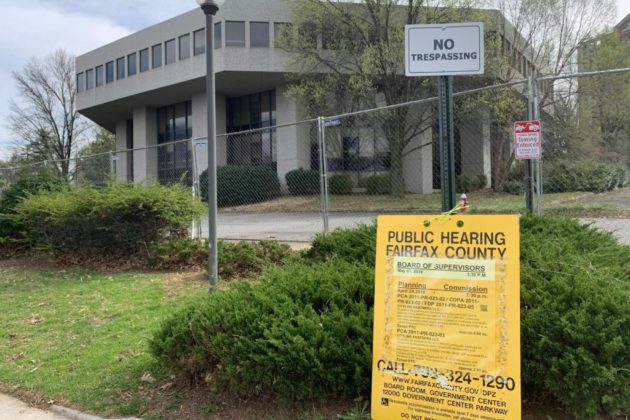 With the Nouvelle residential building open and The Monarch under construction, Cityline Partners LLC is hoping for Fairfax County’s permission to move forward with the next step of the Arbor Row project near Tysons Galleria. The overarching plan is to transform the back end of Tysons Galleria along Westpark Drive into a suite of mixed-use buildings. Block E is the Nouvelle, and Block D is the under-construction Monarch hotel. 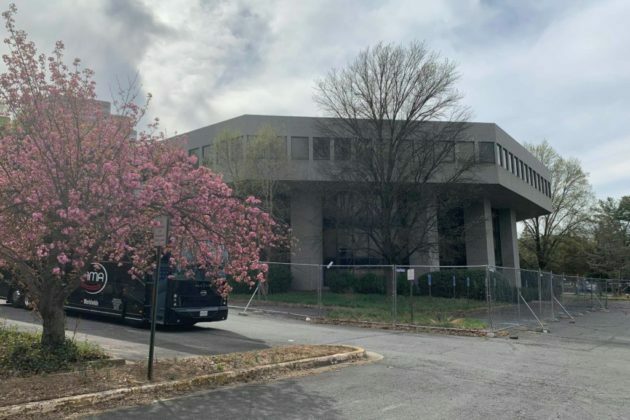 On April 24, Block C of the project will go to the Planning Commission to try and amend the change the two approved office buildings planned at the site into a two-tower senior living complex called The Mather. The towers are proposed to be 18 and 27 stories tall with a podium connecting the towers on the lower levels. 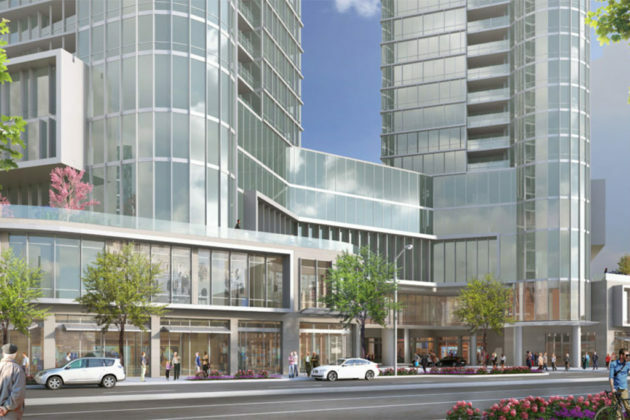 The site would contain 300 independent living units, 78 assisted living units, and 18,000 square feet of retail and restaurants on the lower floors. 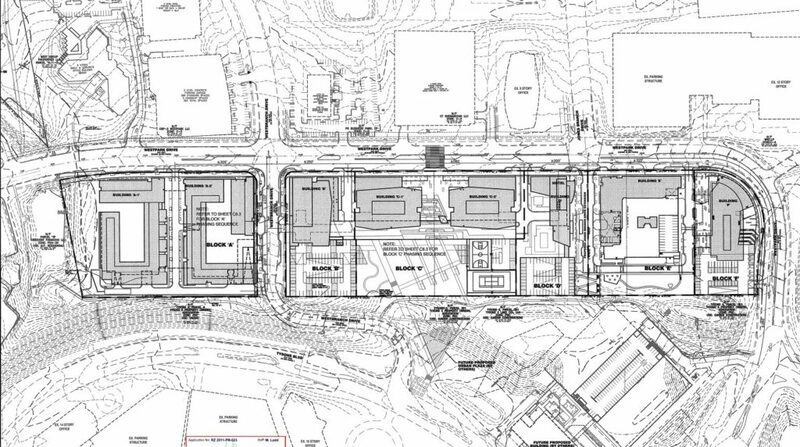 Following the Planning Commission hearing, the project is scheduled to go to the Board of Supervisors on May 7. If approved, tentative opening for The Mather is planned for 2022.